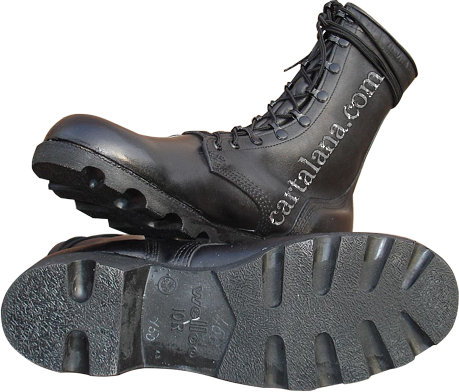 The US "Combat Boots, Mildew & Water Resistant, Direct Molded Sole (DMS)" were used by the US Armed Forces for about 20 years, from 1984 to 2004, when the United States Army transitioned from M81 Battle Dress Uniform (BDU) and Desert Camouflage Uniform (DCU) worn in the 1980s - 1990s, to the current US Army Combat Uniform (ACU) and Flame-Resistant Army Combat Uniform (FRACU - flame-retardant variant of the ACU). 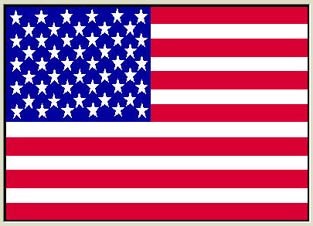 The US Air Force, US Navy and US Marine Corps also got rid of widely-used BDU (Battle Dress Uniform) and introduced their own kinds of uniform; Airman Battle Uniform (ABU), Navy Working Uniform (NWU) and Marine Corps Combat Utility Uniform (MCCUU). 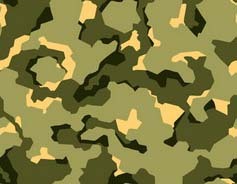 Along with new uniform, different branches introduced more practical, non-shine rough-out leather combat boots of different color shades (tan, coyote, sage green etc.) according to their own requirements and specifications. 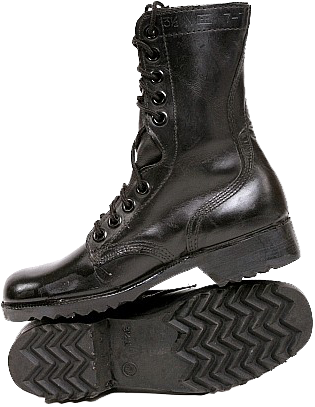 This left the black leather shine boots behind, and wearing of any black combat boots is generally not authorized with the currently used uniform, with the exception of some cases (safety boots, cadet's parade footwear in conjunction with the BDU...etc.). 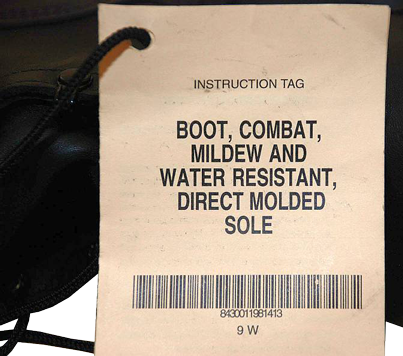 The predecessors of the US "Combat Boots, Mildew & Water Resistant, Direct Molded Sole (DMS)" were the so-called "Black Leather Combat Boots with Direct Molded Sole", which were standardized during the Vietnam war in 1967 and were issued at least to the mid 1980s. 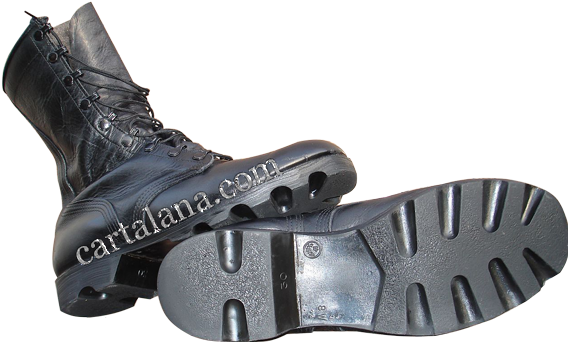 Military specification of these boots, MIL-B-43481, was finally canceled in the year 1990. 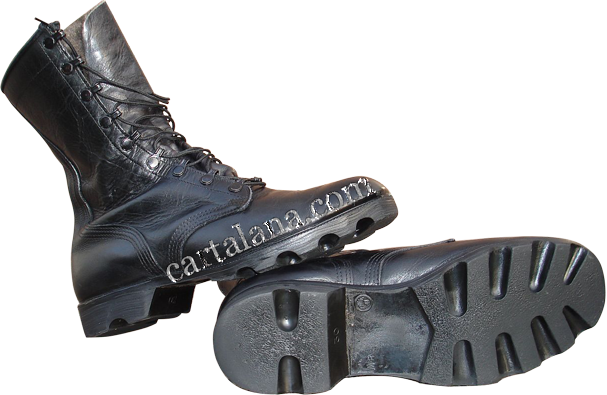 These boots were a kind of Direct Molded Sole boots, similarly to the previously designed and specified US "jungle" boots. 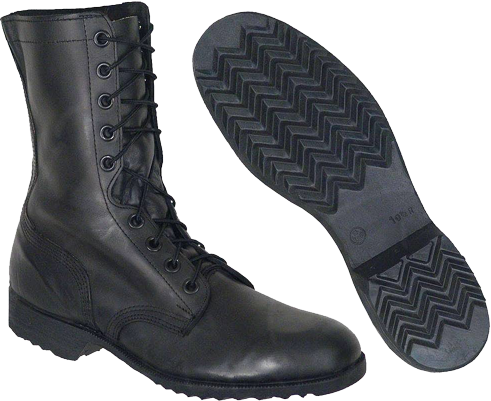 US Army Black Leather Combat Boots featured nine pairs of simple round eyelets (four pairs of eyelets at the foot and five pairs in the upper part of lacing), subdivided by a dent-shaped cutout. The first specification made provisions for ten pairs of eyelets. The leather heel counter (cap) goes up in the later specification, but in the early specification the heel counter was short, just "wrapped around" the heel. The size and widths information, as well as manufacturer's code (contractors initials) and the date of production are hot-press stamped into the leather around the top cuff of the boot (on the inner sides of the padding "collar" of the boot's upper). There were eleven size options (American sizing), each of them had five width options. The width is indicated as an abbreviation, for each size there were provided the following widths: XN (Extra Narrow), N (Narrow), R (Regular), W (Wide) and XW (Extra Wide).